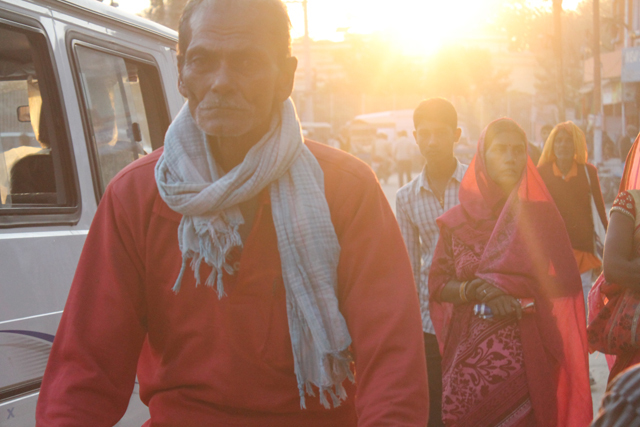 Last winter this city that serves as the defacto capital of the Madhes was reeling from violence, and shortages created by the five-month border blockade. There is little in Janakpur today to remind visitors of those terrifying times: the streets are calm and busy. But listen in on men wrapped in blankets sipping tea in the feeble morning sun on the sidewalks, and the conversation is all centred on negotiations in Kathmandu about the future of federalism under the Second Amendment to the new Constitution. Although there is still simmering anger over last year’s violent suppression of protests, there is no stomach here for another prolonged agitation and accompanying hardships. “There was not one sector that did not go down -- education, businesses, industries, health, transportation, trade, agriculture – everything was seriously affected,” economics professor Surendra Labh (pic, right) remembers the trying months last year. The violence started with the lynching of nine policemen by protesters in Kailali, and more than 55 people were killed as the agitation spread across the Tarai. Police conducted house-to-house searches and beat people randomly on the streets. Social worker Anuj Mishra remembers two children who were beaten up so badly they had to be hospitalised. “One evening, we heard the noise from the street and saw the police attacking some motorcyclists who were not even taking part in the protests, they took away their bikes and declared a curfew,” Mishra recalls. Across the Tarai, it is clear that what is sustaining people’s livelihoods is remittances from young men working in the Gulf, Malaysia or India. It is the money they send home that gives families here an income, and keeps the small businesses and shops afloat. However, the demonetisation of Indian notes has once more impacted the local economy, with many losing their savings. Surendra Labh says the blockade was a result of the Madhes Movement, which in turn was caused by the slow economic development of the plains, and the failure of the central government in Kathmandu to address Madhesi concerns. Although Parliament has been stalled over a dispute over the transfer of five hill districts from Province 5 to Province 4, the real concern in Janakpur is about whether or not the easternmost Tarai districts of Jhapa, Morang and Sunsari will be included in Province 2. The demand here is for all plains districts to be a part of the two Madhes provinces. “Our geography and identity are not taken into account, and this Amendment is a ruse to perpetuate the internal colonization of the Madhes and to exploit our resources. The government caused deforestation and dehydration and ruined our environment,” says Vijay Kumar Singh (pic, right), an MP from the Tarai Madhes Democratic Party. Singh and others complain of government neglect and the lack of investment in infrastructure and industries. 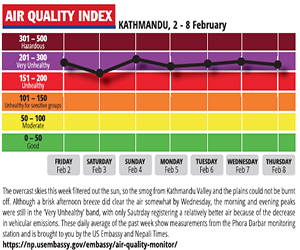 People here see Kathmandu more concerned about the development of Pokhara, for instance, than Janakpur. The local economy was badly hit after the closure of the Janakpur Cigarette Factory three years ago. 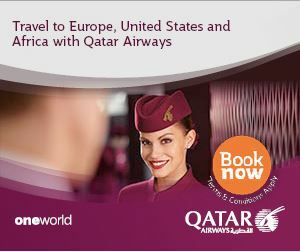 “This city has a lot of tourism potential, there are great prospects for rice and fisheries. Janakpur could be a business hub if it was given the priority,” says Vijay K Jhunjhunwala of Hotel Welcome. Other Janakpur citizens who were interviewed concurred, and added that the city’s economy could take off with investment in manufacturing, irrigation, construction of feeder roads. 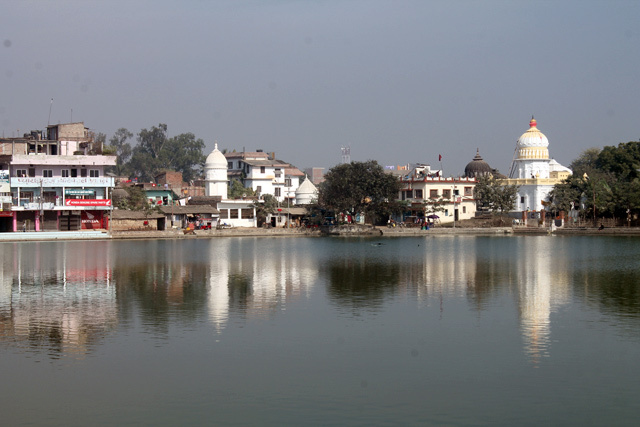 As Sita’s birthplace, Janakpur is already a destination for pilgrims visiting the Janaki Temple, but better transportation links and hotels could boost its popularity. In addition there are holy sites like the Dhanushadham Forest, 17 km from Janakpur which could be a draw. Accustomed to Kathmandu’s apathy, civic groups in Janakpur are trying to find a new identity and help clean up the city. The ‘Clean Janakpur Green Janakpur’ campaign is partly inspired by Narendra Modi’s ‘Clean India’ mission and was started by social activist Ram Ashish Yadav (pic, below) two years ago. People thought he was mad when Yadav took three months to clean up the sacred Ganga Sagar pond in the city all by himself. But soon, others joined him, and they included students, businessmen and the local wings of political parties. In nine months the task was done, and Ganga Sagar is now the second main attraction after Janaki Temple and the must-see place for pilgrims. Inspired by the success, Yadav is moving on to clean Janakpur’s other ponds, and is planning a program to recycle waste and distribute mango trees to the poor. “One mango tree provides two kilograms of oxygen per day which costs Rs 100, so in 70 years these trees can give the city Rs 51 million. It also gives the poor mangos to eat,” says Yadav, who has already distributed 12,300 trees and will soon triple that figure. 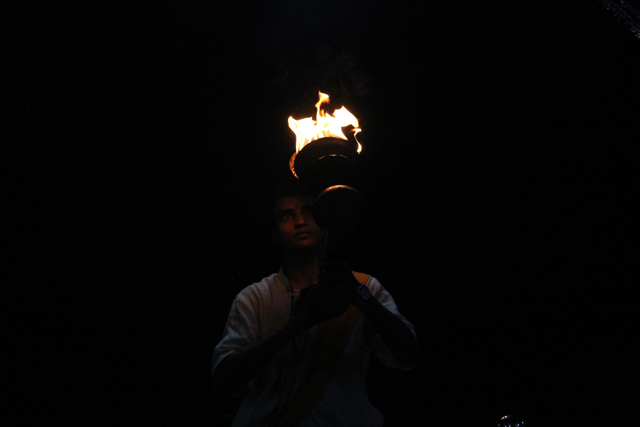 A priest during the evening prayer on the banks of Ganga Sagar. 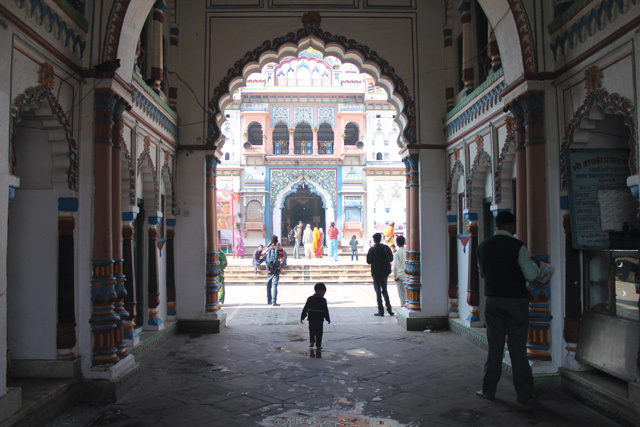 With Nepal and India building five cross-border train links, including one in Janakpur, the heart of the ancient Mithila kingdom is expected to have more tourists from India in future. The Cold War was at its most frigid in the 1960s when King Mahendra, who had just ousted an elected government in a coup, went on a nation-building spree, playing off regional and global powers to industrialise Nepal and improve infrastructure. Starting the mid-1960s, the Soviet Union provided thousands of Nepali students with scholarships to go to university, started work on the Janakpur Cigarette Factory and the Pathlaiya-Dhalkebar section of the East-West Highway. In the mid-1960s, the Soviet Union built the Pathlaiya-Dhalkebar section of the East-West Highway. 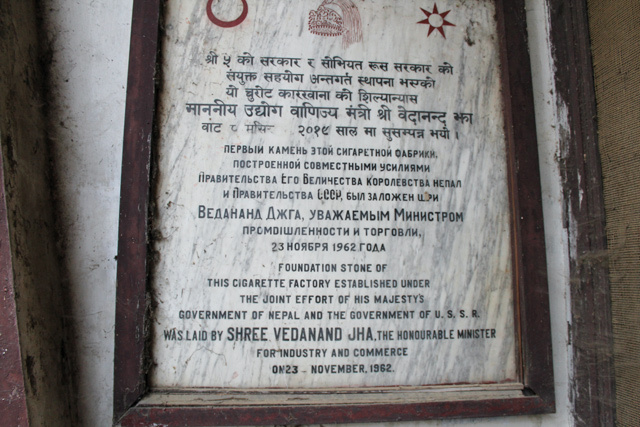 The factory made popular Nepali cigarette brands like Yak and Deurali, but has been derelict since it closed down three years ago. The closure cost 4,000 jobs, a popular Janakpur football club as well as a hospital, bank and school that the factory supported. Thousands of farmers in surrounding districts who supplied the factory with tobacco lost their cash crop. The factory was built by Soviet engineers in 1965, and in the 1980s was upgraded by Indian technicians. Today, rusting machinery, abandoned warehouses and dilapidated buildings are all that remain of the premises in the heart of Janakpur. “All significant things in Janakpur, the temple, railway, university campus, were built by foreign governments, mostly Indian or Soviet. All Kathmandu ever did was open a tax office and police department here,” says economics professor Surendra Labh. The inside of the cigarette factory. The factory used to hum with activity producing around 20 million cigarettes a day in three shifts. 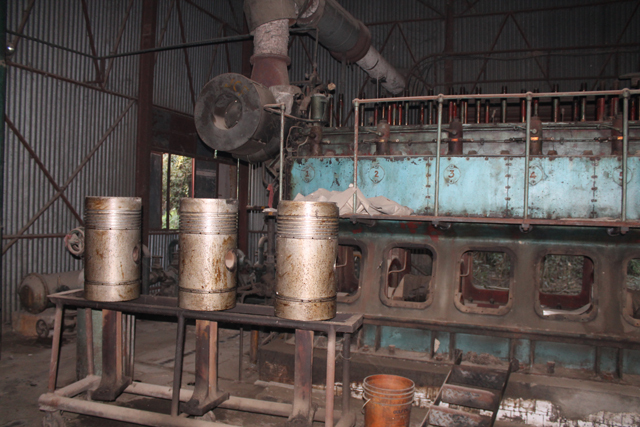 Seth Sah operated the power house and fondly recalls the friendly atmosphere in the factory. “We did not need any trade union, our Russian Chief Engineer was a very honest man and hardworking person, he united the employees by joining us in our work and being our role model,” recalls Sah, who looks after the electric supply in the factory premises. “The government milked it and let it close, and it never discussed the closure with the local people,” says Vijay Kumar Singh of the Terai Madhesh Democratic Party. 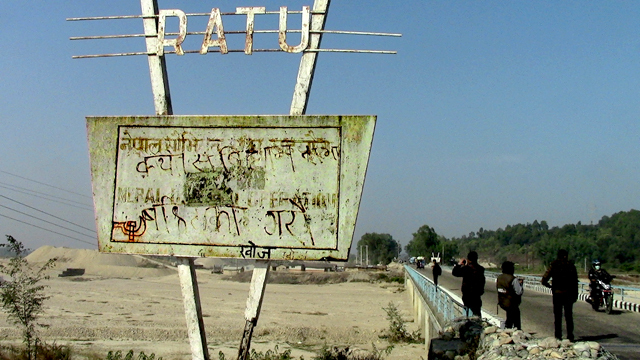 The other soviet project was the 109 km section of the East-West Highway in the eastern Tarai. There are still signs that say ‘Soviet Nepal Cooperation’ along the highway from 45 years ago. Although the highway improved connectivity and made it possible for people of Janakpur to go to other parts of Nepal without having to cross into India, it is also blamed for deforestation and destruction of wildlife habitat. Talk to your children and watch where they are clicking before we have our first cybercrime. XML is the future of the World Wide Web, says Tim Berners Lee, inventor of the web. Doug Scott, the first person to climb the southwest face of Mt Everest, is now a part-time philosopher, and helps Nepalis build schools. Trek to Langtang valley, the nearest remote place to Kathmandu, and say cheese.